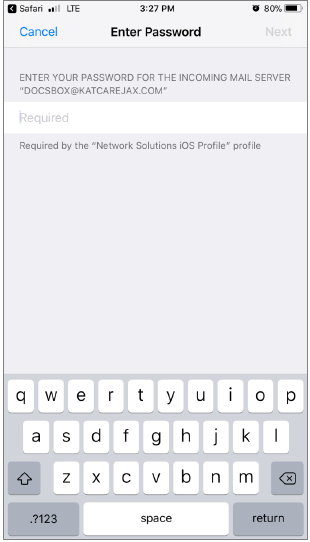 Network Solutions—How Do I Automatically Set Up Email on My iPhone or iPad? 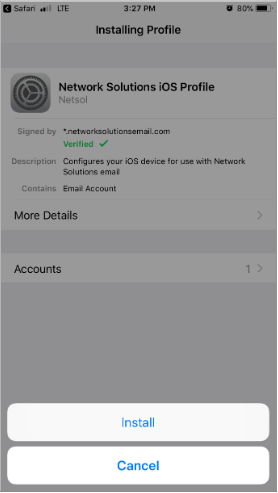 Note: Automatic setup of email accounts requires iOS version 9 or later and only supports the Safari internet browser. 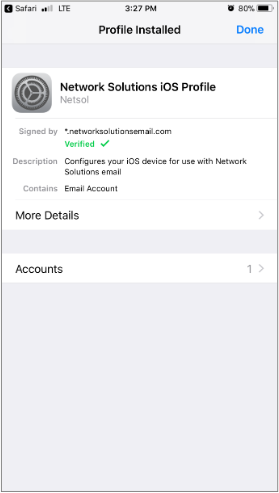 You can automatically set up your email box on an iPhone or iPad device without having to enter any settings. 2. 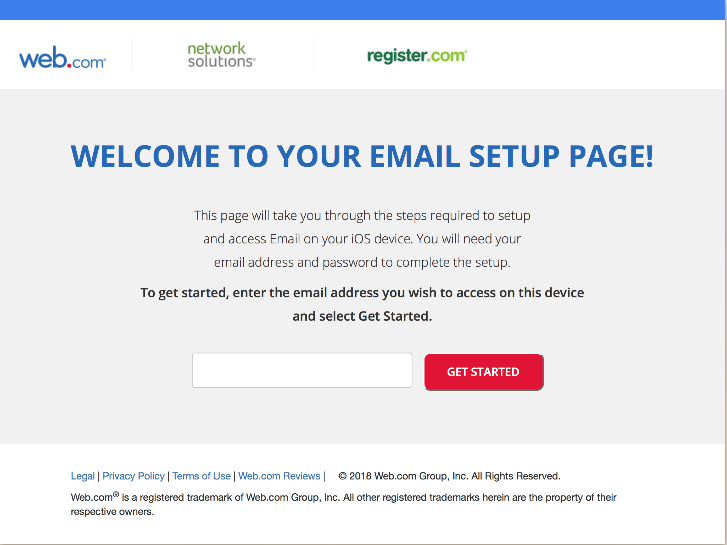 On the Email Setup Page, enter your email address, then tap Get Started. 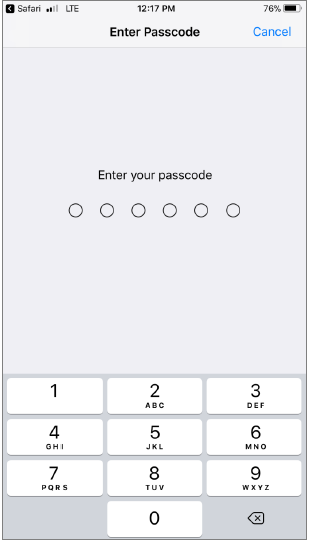 Note: If your device is locked with a passcode, then enter your passcode. 5. Tap Install to confirm. 6. Enter the password for the mailbox, then tap Next. Your email setup is now completed. Your email account appears in the Mailboxes list in the Mail app on your device. How Do I Set Up My Email on My iPhone, iPad, or Mac? 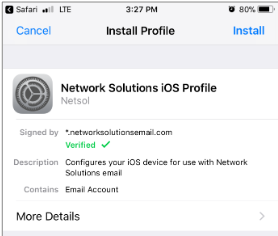 iPhone and iPad FAQs and Troubleshooting Network Solutions—How Do I Remove My Email Profile from My iPhone or iPad?